On The Beat – Americas finest, at work. 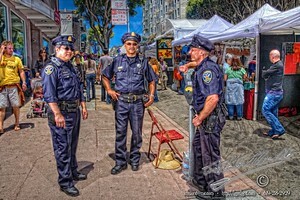 I love this image of three of Americas finest working the streets of the Fillmore Jazz festival in San Francisco. You can tell by their happy smiles that it is a good day for them as well.